Your participation helps bring the character-building programs of Scouting to young people and their families in Kenosha, Milwaukee and Racine counties. 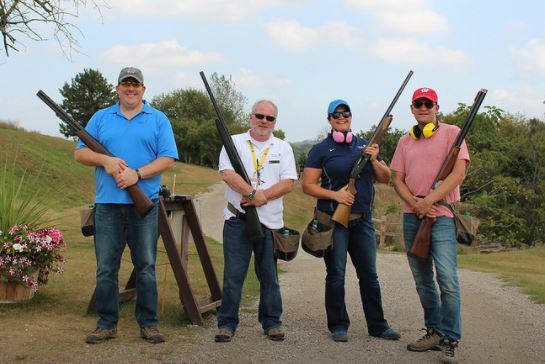 Aim to be the best at the Sporting Clays Classic supporting Three Harbors Council, Boy Scouts of America. Participate in the Sporting Clays tournament, Ultimate Pistol Competition and more! Shooters of all skill levels are welcome. The Boy Scouts of America offers the finest youth development program available to build leadership, values, life skills, and self-esteem in youth. Your participation helps bring the character-building programs of Scouting to more than 26,000 young people and their families in Kenosha, Milwaukee and Racine counties. Your support makes programs like Learning for Life and Multicultural Scouting possible for kids in central city neighborhoods.